The Crafty Pint will soon be starting a series looking at the steps brewers are taking to reduce brewing's environmental impact. Before then, however, Young Henrys is highlighting the impact climate change could have on your beer by brewing a bad beer. Nick O finds out more. In a world that’s getting warmer, climate change is very much a hot topic. But what to actually do about it? Doing something – anything – would seem like a good idea, particularly if you believe the screeds of data coming from a global science community suggesting a “climate emergency”. If you’re in the same camp as Ian The Climate Change Denialist Potato, your preferred course of direct action might be to just keep digging, dumping, burning and chopping and figure out the rest later, lest the earth’s surface return to being a seething, poisonous ball of magma where there's nowhere to raise livestock and all the precious coal and its profits remain trapped forever. Whatever the reality and whoever’s fault climate change is or isn’t, the way things are going it seems certain there will be changes to the way we live: from worrying about whether your house will remain above sea level or whether farmers can grow enough ingredients to supply the world with beer. And if we can at least be certain about one thing, as it gets hotter we’re definitely going to need more beer. To raise awareness about the issue and how beer fits into the equation, in conjunction with Earth Hour, Young Henrys was approached by the Climate Council to brew something that offered a taste of what beer could be like in a semi-apocalyptic future. Drought Draught, as the beer has been called, is an Australian pale ale that’s been brewed to simulate the hops, barley and water that might be available in drought conditions. 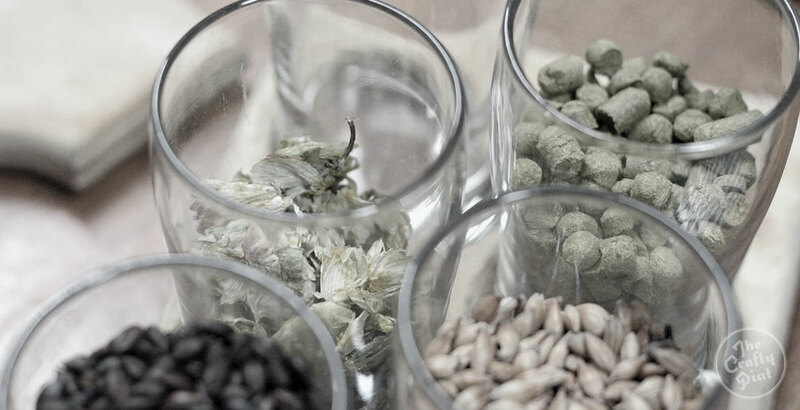 The layperson is unlikely to put much thought into the ingredients that form beer but, in the case of hops and barley, they are agricultural products whose composition is intrinsically linked to the environment in which they grow. But, with suppliers not tending to specifically stock drought-ridden ingredients in non-drought times, for the purposes of this project the collaborators had to make do with an educated guess. 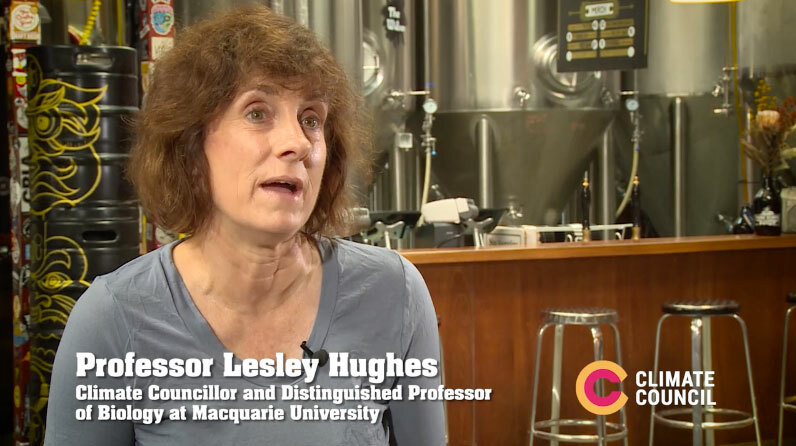 Although, with Lesley Hughes, a Distinguished Professor of Biology at Macquarie University, representing the Climate Council it would seem less a guess and more an educated determination that the brewers had to work with. “We did some future gazing and asked the experts,” says Richard Adamson, Young Henrys’ co-founder and head brewer. “For water, we were mindful of dry land salinity and the impact that would have on our water supply. Hard water is not great for brewing and reverse osmosis [a water purification process] is an expensive process that would have been out of our reach when we first started. As such, we used water that had a high mineral content. “Barley suitable for malting is grown in a relatively narrow band of agricultural land. As climate change may shift this area of suitability, we thought that malt barley with less diastatic power [a starch conversion measurement] may be malted so we made an under-modified malt profile and used a fair bit of sugar as a substitute. The result is astringent and lacking malt character. It’s a frank appraisal that serves as a reminder of how connected beer is to the land on which its key ingredients grow and that brewers ought to be mindful of those systems and processes beyond their immediate control. As reported on The Crafty Pint back in February, the 2016 hop harvest is set to see shortages of up to 40 percent in places, while record spells of prolonged hot weather aren’t exactly encouraging either. On top of that, when you consider that there are now more breweries in Australia than ever before, with plenty more on the way, the collective strain on raw ingredient producers and the environment is only likely to continue to grow. How then does a rapidly growing brewery approach the issue of balancing business realities with sustainable practices? “For us,” says Richard, “it's about securing long term relationships with our suppliers to ensure continuing quality. “As brewers, power use and water use are things that are in our control that can make an impact. We use a high efficiency brewhouse [mash press] that reduces the amount of malt and water required to make our beer. We do what most brewers are doing now and [are] managing our heat transference so as to not waste energy. All our grain is fed to livestock and our yeast is also used for fertiliser. Amid the perpetual growth and general excitement of the craft beer industry, and living in a Western economy in which a mantra of eternal growth is preached from on high, it’s not often you’re reminded that growth cannot be infinite on a planet with finite resources. While it’s difficult to imagine we’ll all be fighting for hops, Mad Max style, in a few years, Drought Draught is an interesting way of getting people to think about how bigger issues filter down to affect the everyday things we love. Drought Draught will be pouring at Young Henrys’ Newtown brewery on March 19 for one day only. You’ll get a free taster – “if you’re brave enough,” says Richard – with every purchase of a regular “but better tasting” Young Henrys beer. The proceeds from the regular beer will be donated to the Climate Council. You can find out more about the project, watch a video about the beer and donate to the cause at the Drought Draught website.